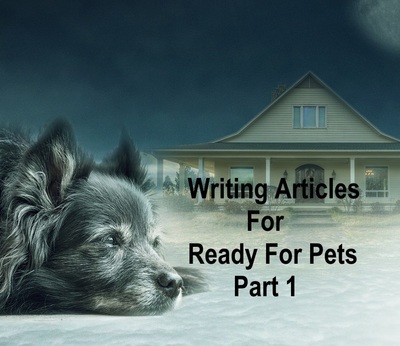 Perhaps you have read a few articles on Ready For Pets and have decided you would like to contribute one of your own but are unsure how to go about it. I am assuming you haven't written for any of the other Hub Garden hubs and need some basic information. Here is a step by step guide. Read a few more articles and take note of how articles are set out. Read the FAQ on the Ready For Pets home page. Read the relevant FAQ for the Hub Garden hubs. Apply to write for Ready For Pets by clicking on 'Write For Us' or 'Apply here' near the top of the home page. Fill out the application form and submit. When your application has been approved you can start to submit articles. Click on 'Share Article'. Read Writing an article for details on using the HubGarden platform. Click on 'My Account' and then 'settings'. Fill out the 'Edit Settings' section. Details can be changed at a later date if necessary. The article Your Profile And Settings Information gives more details. Further information is available in Part 2.